The Berlin based designer Emo Rugene stood stoic, self-confident eclectic and passionate. First, about his family and then his work which embodies his personal charisma. Emo says he would have been a footballer, if not for his knee injuries that took him to five surgeries. He still does sports and you will likely find him working out or boxing in the gym during his free time. “It is what defines me”, says the tall bespectacled athletic designer. An expectant second time father, Emo Rugene holds his daughter closely as he commences to tell me the story of his path to shoe designing. As a husband, father, designer, model, activist and masters graduate, he wears many hats. Emo works on the principle that his achievements are not only essential for personal development but more so to use as an endeavour to make the world around him better. “To add a little sunshine, a little elegance, a little value to daily ordinary things”. He says spending time with his family and close friends has made him what he is, an outgoing, yet very humble achiever. 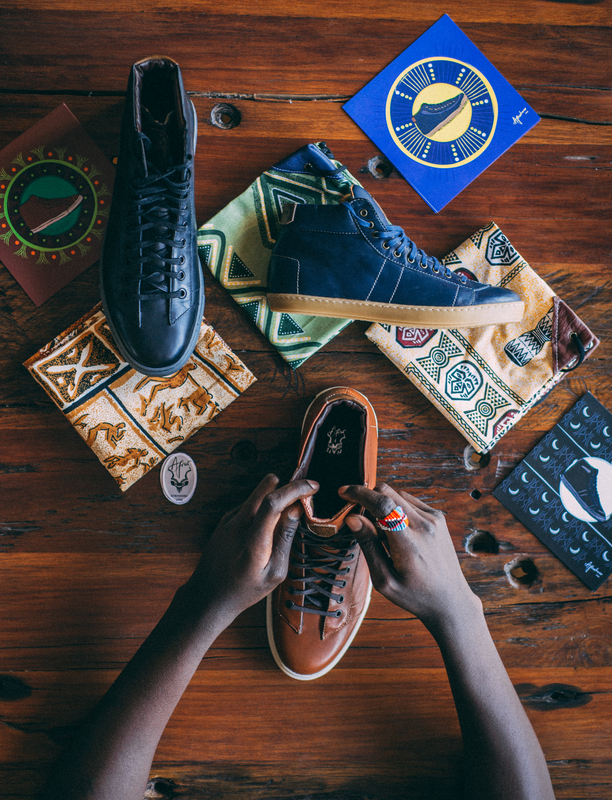 His brain child the Afroshoes Design Company echoes his personal convictions to produce high quality products from Africa and sell them on the international markets. 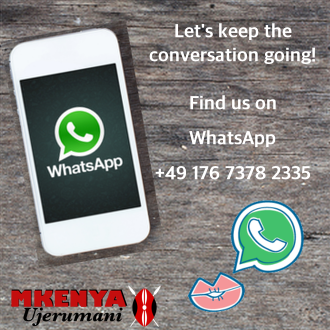 His young family lives in Berlin, but makes frequent visits to Kenya for personal and work related purposes. Born to a journalist mother, Njeri Rugene, in Uasin Gishu District; Emo was raised in Nairobi and studied in top schools, St. Mary’s and Consolata before joining the United States International University (USIU) for his bachelor degree. Emo completed his Master’s degree in Peace Development, Security and International Conflict Transformations at Innsbruck University in Austria. He thought that instead of waiting for jobs that were hard to come by, the best alternative was to be a self-starter, create a job and employ people. That would be the beginning of the Afroshoes business. Afroshoes was launched in 2012, after an observation Emo made that designers in the modelling industry were more interested in making outfits but not shoes to go with them. He found his niche and at a point wanted to juggle between modelling and designing shoes. However, when he made the first shoe samples using the Kitenge print, it became an instant hit and soon designing took over his modelling ambitions. He is keen to fill existing gaps on the Kenyan market in shoe designing. Emo designs shoes and enhances them with the Kitenge print, giving it a Kenyan touch, though he acknowledges that Kenya does not have a specific identity. For this, Emo tries to bring up the Kenyan phenomenon what he calls the “Kenyan vibe”, he says “the brighter the Kitenge print, the better”. For the designs to stand out, the print has to conform to a specific symmetry and texture, this gives the shoes a winning edge over other brands that try to imitate what is already on the market. “It is the selection, and how the print pattern match that determines the quality of the finished product”. Emo explains. The process of designing the shoes starts with fabric shopping, what he terms the most important part of the process, the next step is cutting the patterns, deciding on the designs and finally stitching the pieces to a finished product. Depending on the capacity of the production, Emo’s Kenyan workshop can produce up to 10 pairs of shoes, which, he says is still minimal compared to what large factories can produce. For the new collection, Emo is outsourcing production from an Ethiopian based company where about 1500 pairs of shoes are produced in a day. So far, Emo has expanded his market with outlets in Rwanda, Tanzania, USA and Canada. He says that although the shoes are good and have fetched a lot of interests, the quality is yet to meet the required standards for the German market – in his words the “Richtig Deutsch Qualität”. He is hoping that the production in Ethiopia will give him that value edge. 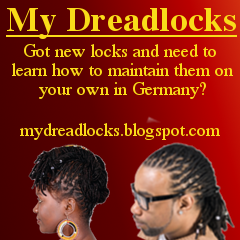 Emo combines elements of what he learned at the University to the rigorous effort to perfect his Afroshoes, always looking for a better, greater, distinctive finished product. “The level of discipline I endured during studies and the diligence required in the modelling career, has helped me meet deadlines and client needs”. He says. Emo started his brand in Kenya, where there was a ready market, but says living in Germany, has helped him gain new perspectives on how things are done. 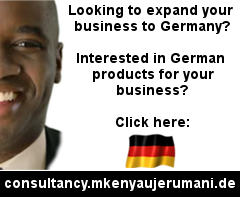 He is pushing for his products to become an international brand through learning from strict German procedures. His efforts are almost paying off with his latest design encompassing elements of characteristic modern leather outer material, with a cosy inside African print. He expresses the interpretation of the design as, “being in Germany on the outside, but African in the inside”, indeed a very profound symbol. He says the market reception of his products has not been without hitches. There are Kenyans who may not like the print colours, while clients in Germany will only like the product because of their love for Africa. Emo wants his products to be liked because they are good. Emo is also engaged in community initiatives such as the Julisha Jamii, where he creates awareness about the situation of the Nubian community in Kenya. 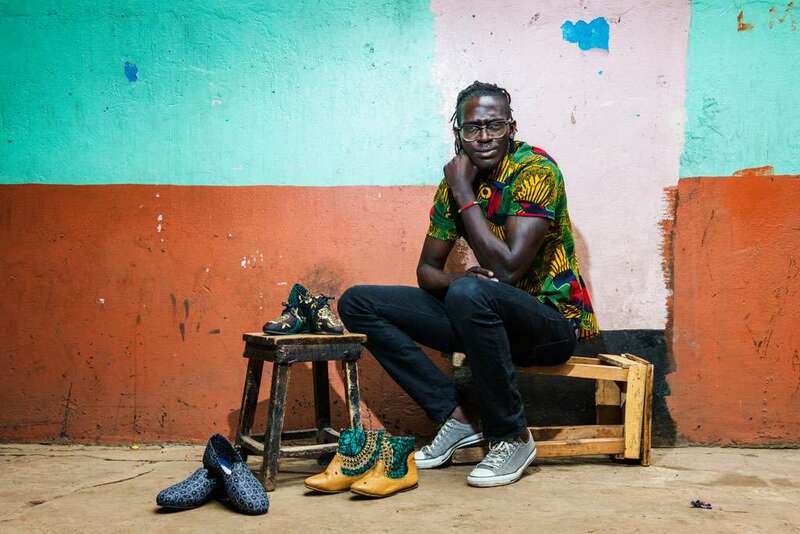 He is hoping that he can use his Afroshoes business to help Kenyans realize their dreams. In the Seed of Hope organization, disadvantaged children who cannot afford education, get hands on skills training. They make bags to match the shoe collection, so far over 300 young people have graduated with skills from the programme. Currently, Emo is crowd funding for his latest collection on Kickstarter, platform, where entrepreneurs can launch their products and source for funding. He explains that on the Kickstarter forum, people who like idea posted, fund the projects and in return get a gift, of his versatile shoes. For now, Emo is contended, he says he is a designer through and through, but is also considering going back to modelling. He reiterates the need for Kenyans abroad to work together and be proud to be Kenyans. “The kind of people you surround yourself with, define who you become”. “There is value in family and good friends who share one’s vision”.